Thank you to Pet Lifestyle Expert & Animal Behaviorist Colleen Paige, National Walk Your Dog Week, http://www.walkyourdogweek.com/, founder. 1) Commit to walking your dog(s) every day, for seven straight days. If you already walk your dog everyday, commit to walking farther, for longer or on a new route. 2) Share your progress and support others! Use and follow #DogWalkingWeek on social media, leave comments on the hosts blogs and social media and if your a blogger, share your dog walking posts (the blog hop Linky will open October 1st) so we can all inspire and encourage each other all week and beyond. 3) Let us know how it went. Even if you commit to walking beginning on October 7th, we want to hear from you on October 15th and know how your seven days of walking went. Use blog and social media comments to tell us all about your seven days of walking. Three committed walkers will win prizes (dog toys, treats, a leash and collar set and t-shirts for humans) so stay in touch! Tell us about your commitment to walk on the list below. If you are going to share your progress on your blog or public social media account, enter a link to your public page. 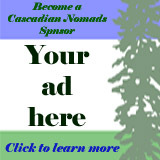 If you don't have a blog or public social media account, you can keep us posted on your Walk Your Dog Week progress through host blog or social media comments and enter a link to a host blog (Cascadian Nomads, Wag'N Woof Pets & Dolly The Doxie) or social media account or our Facebook event page.